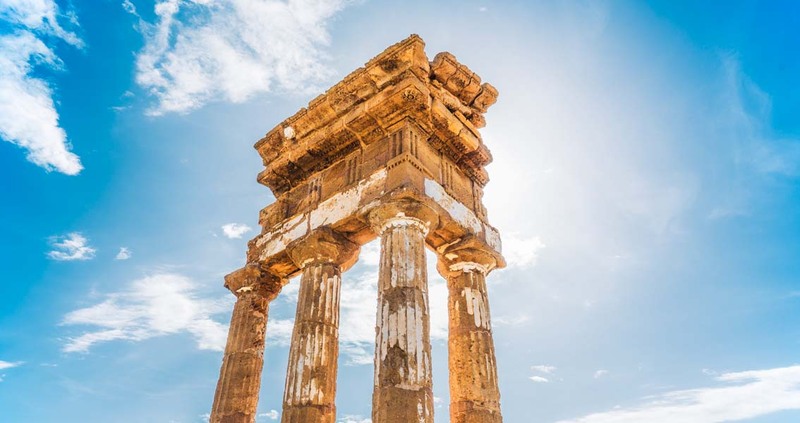 The Valley of The Temples is a wonderful archaeological sight where it is possible to discover impressive ruins dating back to the Greek colonisation. Massive – Ancient – Miraculously standing Greek temples from the 6th century B.C. 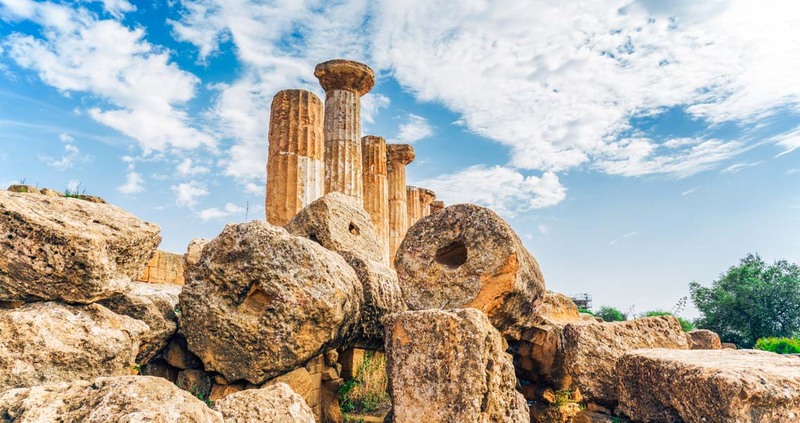 is what you will experience in the Valley of The Temples, the archaeological site in Agrigento. Situated in the southwest of Sicily, Agrigento was originally founded by Greek colonists. This famous historical attraction is a tourist top destination due to the eight ancient Greek temples found there. What is most impressive about these Doric style temples? The thick, heavy 30 meter tall columns that will leave you wondering how they had been built without modern technology. The temples line the crest of a hill and originally covered over 18 sq. kilometres, lending themselves to stunning views and a perfect stop for picturesque photographs. Given the constant wars, volcanic eruptions and earthquakes of this area, it is unbelievable how these majestic public works have mysteriously withstood the tests of time.